I’m a freelance web designer and developer, and I also founded and run the web design blog siteinspire.com, which showcases the very best web design today. I have my own clients, and do occasional work for agencies when the right projects arise. How did you get started in web design and development? What is your background? I got into the industry in an incredibly roundabout way. I studied Psychology at University back in 1999, but I had so little studying to do I had plenty of free time to dedicate to teaching myself Dreamweaver, Illustrator and Photoshop. A few friends and I started a “start-up” called What Happened Last Night, where we had teams of promoters take digital photos of people in local Manchester night clubs and posted them on the website the next day, whereon people could purchase prints or downloads. You have to understand that this was when nobody had digital cameras, and when the cameras that existed were barely 1 Megapixel! The ability to add friends and message them came shortly after, amusingly similar to Facebook (everyone has their “I created Facebook first” story!). It was a fun time, but the realities of trying to run a online business just before the dot com bust took their toll. I learned a lot about the web during that time, but it wasn’t really an industry you’d move into, so my first job was in a London advertising agency as an account executive. From there I went into management consulting and banking, but realised that the only thing I enjoyed was what I was doing in my spare time: web design. 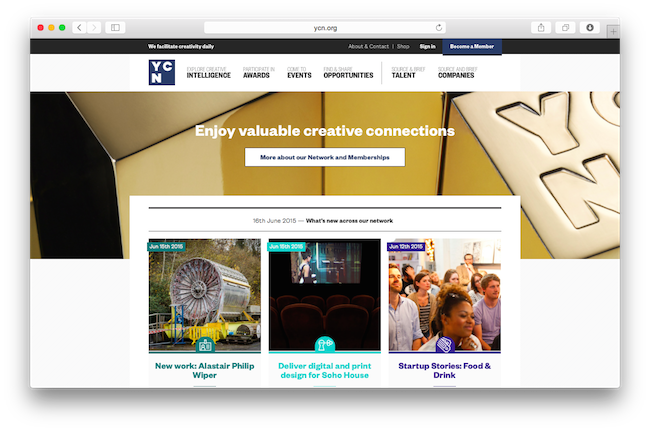 I left the City and joined a friend’s agency that I helped set up called YCN.org on a permanent/contract basis. In 2009 I started siteinspire, which was only ever meant to be a visual bookmarking tool for myself, but it seemed to catch on. It now sees up to 15,000 unique visitors a day, and lots of people were emailing me asking if they could recommended any designers or developers. I offered my own services so that is how I ended up being a freelancer as I am today. I’ve met tonnes of great designers and developers via the site, and I still enjoy editing it today. I have about 3 or 4 client projects going on at any given time. 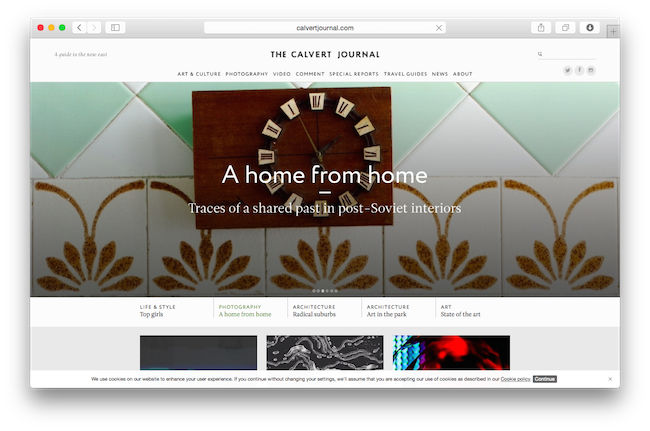 A site I do for one of my favourite clients, The Calvert Journal just won “Best Designed Site” at The Drum Media Awards which I’m very excited about. Other projects I can’t talk about sadly, but I’m working on more digital products now. I have a few new side-projects up my sleeve too: a simple blogging/link sharing tool called Shortform and a creative contacts management app called Wove. I feel like I spend all day in Sketch by Bohemian Coding, and then for development it’s the usual stuff, mainly working in Sublime Text. I feel I’m never caught up when it comes to software: there seems to be new tools created every day. I wish I had the time to play about with them and find new ways of working but I feel I can’t do that right now. My iMac is my main machine. I have a Macbook Pro for when I’m travelling, and have an adorable MacBook for fun, and for when I don’t have to do any serious, actual work. My ideal work environment is my home studio that I’m lucky enough to work from. I recently moved to Richmond and converted one of the bedrooms into a dedicated studio. I’m not sure I admire many developers only; I admire designers who code and coders who design. For instance, Ian Coyle and Duane King are personal heroes of mine. 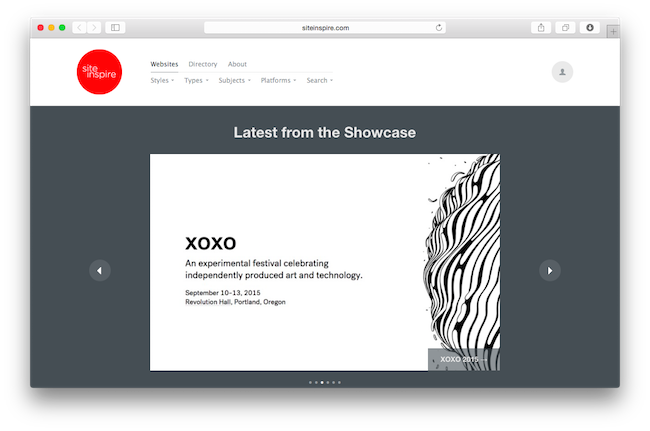 Basically anyone who has had a site posted on siteInspire is a hero in my eyes!